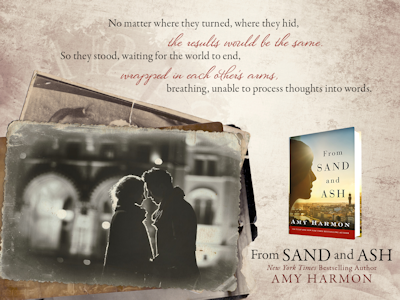 To ask other readers questions about From Sand and Ash, please sign up. This book was GREAT. It is well written. The characters are real. I would love to read more books like this one. Recommendations? I tried to read Lilac Girls and had to stop because it was too intense with the details of the awful things that happened during WW2. Is this book similar in that way? Amy Harmon is one of those authors that can’t write a bad book. She always blows me away with the uniqueness of her stories and the beautiful way they’re written. 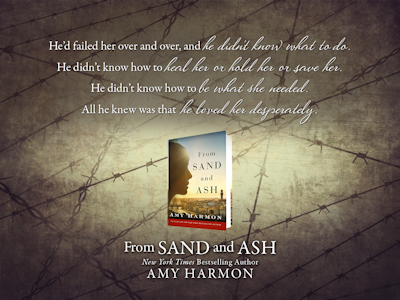 All of them have a special place in my heart in a different way, yet none of them have touched me quite like From Sand and Ash did. This is by far her best work yet. This book is unforgettable. Truly one of the most stunning, beautiful, powerful and heart wrenching books I have ever read. I don’t normally read historical bo 5+ stars!!! Amy Harmon is one of those authors that can’t write a bad book. She always blows me away with the uniqueness of her stories and the beautiful way they’re written. 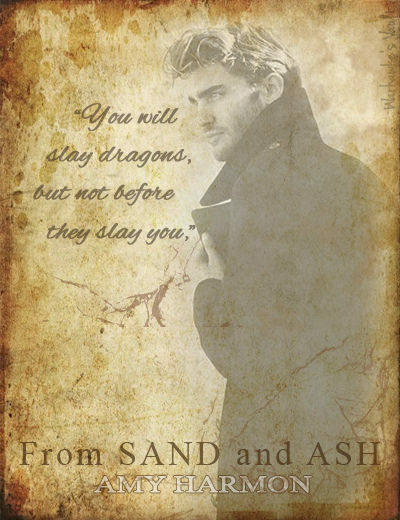 All of them have a special place in my heart in a different way, yet none of them have touched me quite like From Sand and Ash did. This is by far her best work yet. This book is unforgettable. Truly one of the most stunning, beautiful, powerful and heart wrenching books I have ever read. I don’t normally read historical books. They don’t always hold my interest, but I’m going to tell you right now- I don’t care if you read historical, romance, fiction, non-fiction, whatever- this is a book that needs to be read by everyone. The majority of this story spans from the late 1930’s to the early/mid 1940’s and takes place in Italy. Eva Rosselli is an Italian Jew and Angelo Bianco is a Catholic. Eva and Angelo grow up together, and despite their differences, they find themselves falling in love. Even though Angelo has these feelings for Eva, he follows his calling into the priesthood. So now we have a Jewish girl and and Catholic Priest. Years after this happens, the lives of these two people change forever. How can you compromise with people who don’t want you to exist? They want us to disappear. I can’t adapt to death. Oh the feels. The fact that this book is based on real life just makes my heart hurt even more. It’s hard to imagine things like this really happened. I know it’s history, but it’s not like this was hundreds of years ago. For all of you that like to feel, know there are good feels and feels that are not so good. I found myself crying more often than my eyes were dry. This is a story of life and death. Of love and of survival. Eva is one of the most strong and fearless heroines I have ever read about. She was incredibly brave and selfless. Was she ever scared of what was going on in her life? Of course. But that is the true definition of fearlessness. Being afraid, but not letting it hold you back. Angelo was amazing in his own right. The things he did and the sacrifices he made. They were both amazing human beings. No matter how hard things got, they were both able to keep their faith strong, which I’m sure seemed impossible at the time. This is a story that will change you. Your life will be changed by reading this book. It will move you and make you think and feel and completely captivate you. I can’t imagine one person reading this book and not being changed for the better once they’re done. It has romance in it, and that romance is beautiful, but there is so much more to the story than that. From Sand and Ash is a painful read. It shows the horror and terrible things that happened during the WWII time period. It’s also a beautiful story full of love, faith and devotion. This book may be historical, but I think it is still relevant for us today. It’s one of the very best books I’ve read this year, and I have a feeling it will be one of the most memorable books of my lifetime. This is an unforgettable story and one I recommend every person read. Beautiful, heartbreaking and inspirational. Loved it! Amy Harmon is fast becoming one of my favorite authors. Each of her books that I've read has been incredibly emotional and touching. 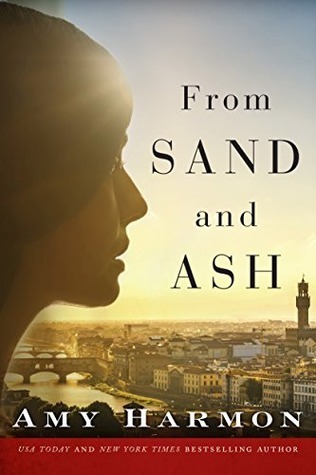 'From Sand and Ash' is a gripping account of true love in WWII-era Italy. This story held my attention from start to finish. I fell in love with the characters and the visually rich setting. This book was so beautifully crafted that the scenes were nearly tangible. This is undoubtedly one of the most compelling romances that I've read this year. The love between Eva and Angelo was unbelievable. They had the type of love that is incredibly intimate and real. They weren't perfect, but they loved each other in spite of their imperfections. This story was inspirational and heartfelt. I was deeply moved by Eva and Angelo's story. Not only was this book highly entertaining, but it was the type of book that leaves a lasting impression. I will not be forgetting these characters and their plight anytime soon. I can only hope that it will be made into a movie at some point. Somehow, the hope is the only thing resistant to the fear, and it is that hope that makes the next breath possible, the next step, the next tiny act of rebellion, even if that rebellion is simply staying alive." "There was no one left to save. He didn’t even know if he had the strength to save himself. Still, he rose on shaking legs and willed himself forward. It was a long way to Rome for a crippled man with a broken heart. " "From sand and ash, rebirth. From sand and ash, new life. With every song and with every prayer, with every small rebellion, she vowed to push back, to make glass from the ashes." "Eva is just a girl. She wasn’t given a choice. The Jewish people have been stripped of choice. They have been stripped of liberty. They have been stripped of dignity. And they cannot save themselves." "The war in the south continued. The death in the north raged on. The sorrow in the east was unrelenting, the struggle in the west was unceasing. But in an occupied city, with nothing left but love itself, Angelo and Eva held on to each other, if only for a while." "No matter where they turned, where they hid, the results would be the same. So they stood, waiting for the world to end, wrapped in each other's arms, breathing, unable to process thoughts into words." "She was reflected in him, and he in her. It had always been that way. When she was in front of him, she was the only thing he could see. She filled his vision." "With our hands, we reach for things we shouldn't have and we grasp what isn't ours. The way I have always reached for you." "He'd failed her over and over, and he didn't know what to do. He didn't know how to heal her, or hold her or save her. He didn't know how to be what she needed. All he knew was that he loved her desperately." 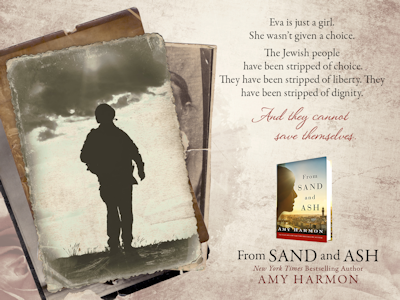 Amy Harmon beautifully represented these two faiths during this World War II based romance. The extent of her research, and the unique way she incorporated real people and events into this fictional love story was spectacular. The time and love that the author put into this fictional hero and heroine though surprisingly other characters in the story were very much real. The story spans the life of Batsheva “Eva” Rosselli a Jewish violinist and Angelo Bianco a catholic priest. The love and family they share and the struggle to protect themselves in Italy as Hitler’s army persecutes is gut wrenching. ”I never really thought about being Jewish until I started to be persecuted for it." The friendship between Eva and Angelo blossoms into love though Angelo has other plans for his life. Though Angelo chooses another path for himself he uses it to help thousands and most especially his Eva. The story spans years as the Germans take over Italy and the Jewish families struggle to survive the horror and indignities. Angelo's love for Eva and need to protect her far surpassed this war, the multitude of losses, and yes even their faiths. This story was well written, heartbreaking, beautiful, and unforgettable. Even if you are not a big historic fan this is definitely worth the read and I highly recommend meeting Eva and Angelo. From Sand and Ash by Amy Harmon is a 2016 Lake Union publication. I’ve been meaning to read this book for several years- yes- years. It’s been languishing on my Kindle as first one obstacle, then another got in the way of my reading it. I knew it was a book I’d want to digest slowly and take my time with, so despite the delay, I think this was the best time to absorb such a rich, engrossing tale. 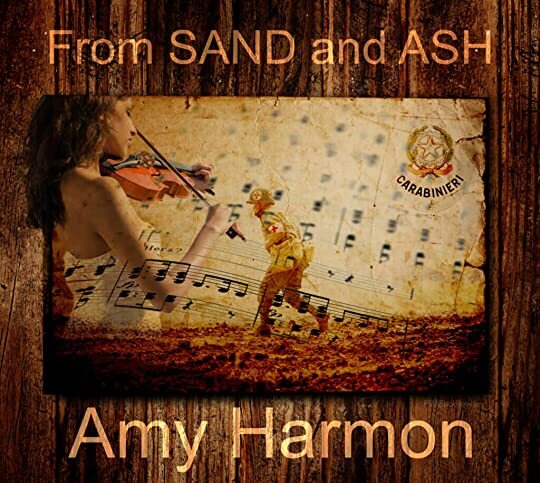 “My father told me once that we From Sand and Ash by Amy Harmon is a 2016 Lake Union publication. “My father told me once that we are on earth to learn. God wants us to receive everything that life was meant to teach Then we take what we’ve learned, and it becomes our offering to God, and to mankind. But, we have to live in order to learn. And sometimes we have to fight in order to live." Angelo is sent from the United States to Italy, where he is taken in by the Rosselli family. He and Eva grew up together like siblings, but Eva has known in her heart, right from the start that her love for Angelo goes much deeper, is much stronger. However, Angelo has been prepped and pressured from a young age to enter the priesthood, which means a romantic relationship with Eva is off the table, even though his feelings match hers. But, with the outbreak of World War Two, when fascism take hold and then reigns, as Jews, Eva and her family become targets and are placed in extreme danger. Angelo makes it is life’s mission to keep Eva alive, despite the danger and obvious risks. But, Eva refuses to allow herself to be hidden away, allowing Angelo to bear the brunt of everything, while her family and so many others are being persecuted. Together, they face obstacles and endure heartbreak, amid the joy of ecstasy, with the power of their faith and love as the driving force that gives them the strength, the will, and the hope to make it out alive. This story took my breath away. So much death, heartbreak, and grief, danger, intrigue and suspense, so many moral dilemmas and personal crisis of faith, so much sacrifice, so much yearning. This story was painful to read in many ways, very intense and at times emotionally draining. This author did an incredible amount of research, from the dialogue, the historical details, all while creating a taut atmosphere, right along with all the gut punching emotions, making the reader feel as though they are living events right along side Eva and Angelo. In my mind this is one of those books that everyone should read. I learned a lot of historical detail I was unaware of, and are topics I rarely hear discussed about the second world war. But, it is also a book that examines the human spirit in the face of unfathomable adversity. It’s about keeping your own value system while acknowledging and accepting someone else’s beliefs, loving them for who and what they are, unconditionally. I can’t say enough about this story. It is everything I had been told it was and much more besides!! This story reminds me and should be a reminder to all – while believing in hope may seem false and futile- never give up, never stop fighting, because there really is and always will be- hope!! 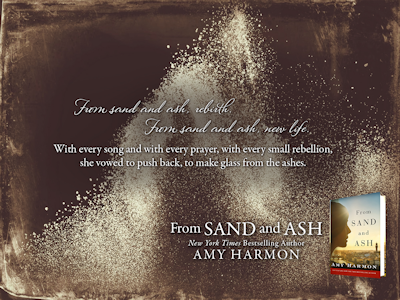 From Sand and Ash is shrouded in historical events that are deplorable. Evil at its worse without the need to exaggerate in any way. Set in Italy during the German occupation of 1943 and onwards, it shows the danger and evil faced by Jewish people at the hands of the Gestapo, the horror of war, dictatorship and the atrocities of the past juxtaposed with the awe-inspiring human capacity of survival; to hope, to love, to have faith, to overcome the worse kind of evil. The story is achingly beautiful, poignant and so very moving ensuring Eva Rosselli and Angelo Bianco, the engaging protagonists of this eloquently written and powerful historical romance, will be in my mind and heart for some time to come. As the story unfolds we experience their trials, the horrors, conflict of emotion and joy as the many elements of this story are weaved fluently into the vivid third person narrative. How they meet as children, grow up together as close as family developing a very special bond. I felt their connection but as the years pass another path naturally calls to Angelo which provides the most deeply emotive and beautiful aspect to the plot, it left me yearning and wondering how their lives would play out. We learn in the acknowledgements that the historical events shaping From Sand and Ash are all based on real life occurrences of that period in time, which adds an intelligent and thought provoking dose of gravitas to this heartfelt fictional story and illustrates the care and attention to detail used by the author when crafting her story arc. As I read I wondered how I would be able to find the adjectives to adequately convey the quality and the depth of this story. It whisked me away to Italy, charmed me, made me love the characters, each and every one on the side of good showing the courage of their convictions. I admired their bravery and basked in the vivid nature of the writing. Amy Harmon's words hooked me into a narrative that, at times, left me breathless with the expanse of emotion evoked and completely invested in the romance element delicately weaved through the layers of the perfectly executed prose to the point that I was mesmerised by the happenings and on the edge of my seat for the conclusion of their story. 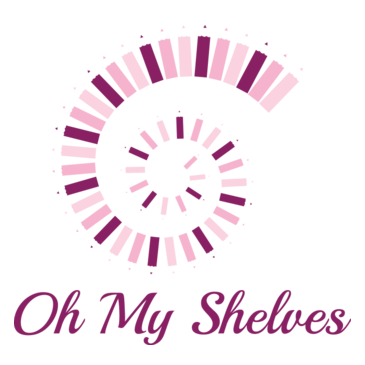 The genre is historical romance and I highly recommend to all those who seek beautifully crafted stories that accurately transport the reader to another place in time with characters who inspire and a love that takes one’s breath away. 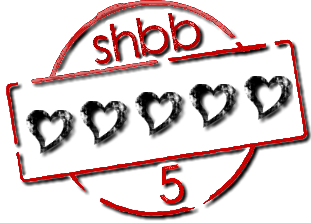 5+++ stars! I know it's only February, but I'm going to go ahead and say this is my favourite book of 2017 - it will be next to impossible to top. Historical fiction is my most favourite genre and this book was one of the absolute best historical fiction novels I have ever read! I took my time with this book, saving it for when I had longer chunks of uninterrupted time to read and truly savour the writing and story. This is my first Amy Harmon book - I have found a new favourite author - I feel 5+++ stars! I know it's only February, but I'm going to go ahead and say this is my favourite book of 2017 - it will be next to impossible to top. Historical fiction is my most favourite genre and this book was one of the absolute best historical fiction novels I have ever read! I took my time with this book, saving it for when I had longer chunks of uninterrupted time to read and truly savour the writing and story. 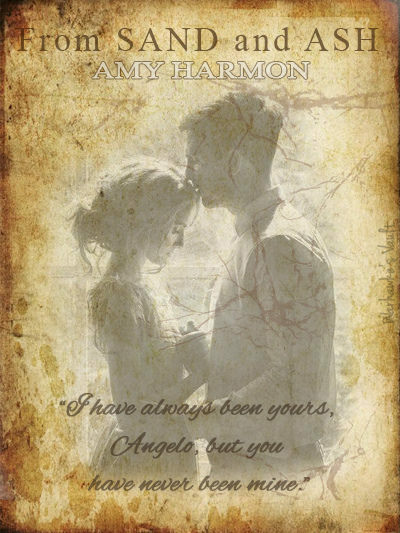 This is my first Amy Harmon book - I have found a new favourite author - I feel I'm "in awe" of Harmon - I will read anything she writes! I'm spent - emotionally exhausted after experiencing the love, war, hope and pain throughout this novel. I FELL ABSOLUTELY IN LOVE with both of the main characters - Eva and Angelo. Their love story is one that I will NEVER forget. The wartime atrocities that happen throughout this book are horrendous and based on true events. As hard as it was to read at times, Harmon explains in her Author's Note "My prayer is that people of today will know the past so they won't repeat it." Very well said! "When children suffer, the ones who love them suffer even more, helpless to alleviate their agony." When Angelo was explaining to Eva the beauty he remembers in his deceased mother. "To me she was (beautiful). And she was soft. ..... Everything about her comforted me. She was...soft. .... Mamma was love. And she didn't even have to try. She just...was." Melt my heart!!!! Another heart melting quote was when Nonna found twelve year old Eva and fourteen year old Angelo kissing. "She shrieked their names and swatted them both on the heads, crossing herself and praying between the slaps. They were grounded from each other for two days..."
➦I kept putting this book away because I knew it was going to be an emotional read and, even thought some of the tear jerkers I've read over the years have permanently made it onto my shelf of favorites, I won't deny that they don't stress me out or psychologically drain me. ➦This is a beautiful and heartbreaking historical romance set in Italy during the time of the Holocaust... a story about two childhood friends trying to survive and save so many others... a story about a Catholic priest loving a Jewish woman and risking it all to keep her safe. ➦Every time I read about the Holocaust I get angry and depressed. I've been to Israel and I've sat in front of a Holocaust survivor who told her story and I cried, along with so many others in the audience. It's mind boggling and ugly. But this book was able to show that among that ugliness there were people who had HOPE and love for other people -people who they didn't know yet risked their own lives to save. I'll leave you with a video of a man who saved hundreds of children from death in concentration camps. I embedded it on my blog HERE. P.S. Amy Harmon's writing is, as usual, spectacular and hypnotizing. My only complaint is with the narration of the audiobook. I understood that everyone was speaking with an Italian accent to make it seem more authentic but I just found it distracting. I wouldn't probably hear an accent in my head while reading the book so I don't think it was necessary. But that might be just me. Maravilloso! Sin palabras. Una historia que te llega al alma y te recuerda las consecuencias de creerse superior a los otros; de olvidar que todos somos personas, hermanos. Sencillamente magnífica! I don’t know how to review this book. I’m just sitting here staring at my screen with a REALLY large glass of wine and about 15 crumpled up tissues. I’ll be back later. I'm back. And I'm not writing a review. I wrote the author a sobbing, sloppy letter instead. If you're reading this trying to decide if you should 1 click, just do it. Nothing I could say would do it justice anyway. Amy Harmon at her very best! Her writing and stories are always excellent, but this one is just wise and deviously SUBLIME!!! 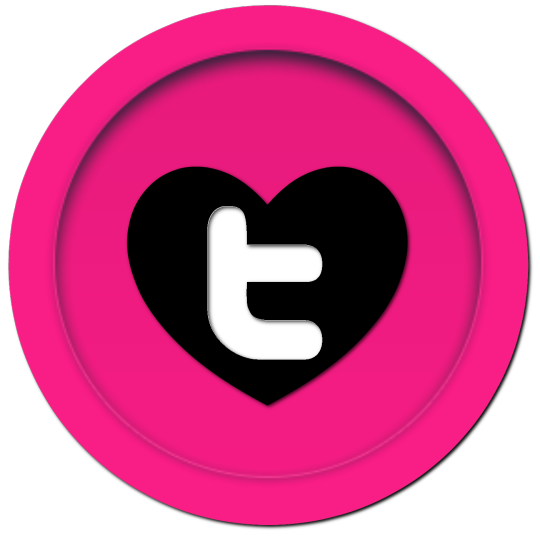 "I love you. 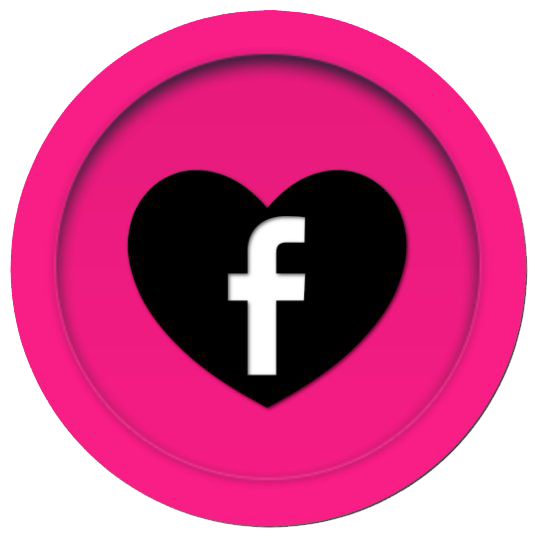 I have always loved you, and I will always love you." Must read! This is one of the best books I’ve had the pleasure of reading this year. Wonderful storytelling and characters that I will never forget... this is a true gem. ‘From sand and ash, rebirth. From sand and ash, new life’. Reminiscent of The Nightingale. 5+ stars. FAVORITE BOOK OF THE YEAR! BY FAR, WITHOUT DOUBT! 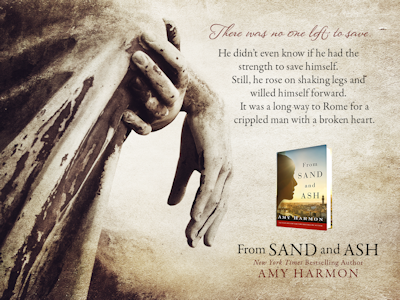 Beautiful, heart-wrenching, exquisite and incredibly powerful, From Sand and Ash is the best work this author has created. 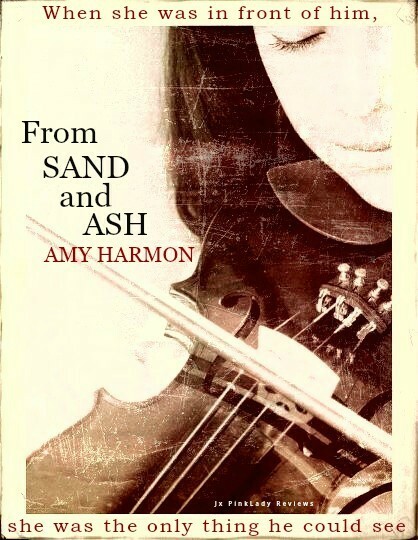 Amy Harmon is unforgiving as she retells history. She doesn't sugar coat it for her readers, she doesn't hide the pain, tragedy, and atrocities. She immerses the reader in the pain and horror and the despair of her characters. From the start, I was riveted. The prologue set the book up exquisitely and perfectly letting us know this was not going to be an easy read. Angelo has been sent to live with his grandparents in Italy after his mother died. Due to his physical disability, his father commanded Angelo to move to Italy and become a priest. Eva was charming, vicarious and full of energy. She was loyal and smart and a gifted violinist. Having known each other nearly their entire lives, Eva and Angelo have been raised together in the same house, even though they were not related. His Italian grandparents were the household staff of her Jewish family. What started as a friendship quickly turns to love, but Angelo is destined to be a priest, and Eva is a jew. Hitler is in power and has invaded Italy. Slowly, and methodically his troops are forcing their way through the streets, alleyways and into the villages and homes of the Jewish-Italian people. Ripping away their families, their freedom, their lives. From Sand and Ash is realistic fiction. The story not only happened, it is happening today. Hitler is no longer in power and trying to rid the world of Jews, but there are others in power attempting to wipe out entire races and religions. Syria comes to mind. The significance of this book in our world, in our time, is not only powerful but important. Harmon gives us a story about family, perseverance, love, loyalty, right and wrong, and selfless devotion. I am humbled with gratitude to have received an ARC. Because this was the most beautiful, poignant and significant book, I have ever read! EVER. If there is one book, JUST ONE book that I could choose to read for the rest of my life, it would be THIS BOOK! Eva Rosselli was an accomplished violinist from Florence. Coming from a wealthy family, she had good childhood with love and support from people around her. But as the war bled closer, things started to change when her Jewish family became the target of hate. Angelo Bianco grew up with the Rosselli family and considered one of their own. He was inseparable from Eva until he decided to give himself to God and joined the priesthood. Surrounded by war, he knew he could do more with his position, but his love for Eva could be the highest risk of all. I would read anything written by Amy Harmon because her stories always managed to capture a special corner in readers' heart. And I love how she's been branching out with different genres and this historical venture turned out as another success. He’d known for a long time that he loved Eva, but he had never admitted to himself that he loved her the way a man loves a woman. Angelo, as his name suggested was an angel. He was calm, rational and selfless. He always put others before his own needs. Eva was a spitfire since she was just a little girl. I admired how fearless and determined she was in getting things her way. What I love the most about war stories be it fact or fiction is the human factor. When people are forced into a corner they will either rise up as a villain or a hero. But even then, things are not necessarily black and white. And that's what this book is about. Also, this is a personal preference, but I want to see more of the ugly side of war. Loving someone and then losing them would be much worse than not having them at all. Even though this book is not fully a romance, I could feel the love they had for each other. And how it both hurt and healed them. 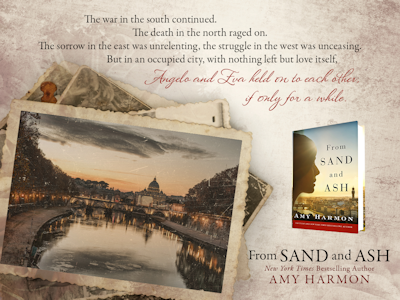 From Sand and Ash is a beautifully written poignant story of a couple's journey trying to survive a war that divided them. It would appeal to readers looking for a love story that also celebrates the strength of human hearts. Yet again, Amy Harmon has written something so substantial, so moving, that I can't collect the proper thoughts to express my feelings for this amazing expression of love. Based on the fact that this book takes place in occupied Italy during WW2, I knew that it would be painfully hard to read at points, if not throughout the entirety. The harsh realities of the lives of the people in Italy during this time were staggering. The horrors of the Holocaust are widespread and far reaching to this very day. We hear about what the Jewish people were forced to endure and it makes us shudder just to even imagine their overwhelming suffering. But what about the indoctrination period? Do you ever sit and wonder how evil of this magnitude could trickle into everyday life? Until it's no longer a trickle, it's a flood of hate and torment that drowns everyone in its path? Her hands shook and her stomach revolted, and every horrified breath felt like fire in her throat. Yet still she sat, composed, her terror held inside the bony cage that sheltered her war-torn heart and her shrapnel-riddled lungs. This book shines a light on how something so inconceivable to us became the mundane. Fear and uncertainty ruled every day. Things would get better if they just kept quiet and kept their heads down, if they waited it out. The characters were fictional, but the emotions, the events were chillingly real. Harmon's detail in depicting the setting, and the delicacy of their attraction growing amid the horrors that surrounded them is a startling contrast. Perhaps making the purity of their devotion to one another even more powerful. It was love that made each touch feel like redemption and each kiss feel like rebirth. Not lust. Not pleasure. It was love that created joy. Angelo and Eva had the type of relationship that many would condemn. Growing up, being raised together like brother and sister, and of such differing religious faiths made them the consummate forbidden pair. But the strength of their connection to one another was absolute. It defied years of separation, denial, and discouragement. It defied war and humiliation and despair. Their abiding love to one another could never be extinguished or tempered no matter what battered at them. Their struggle, it moved me to tears many times. It was honest, and achingly unyielding. He didn’t know how to heal her or hold her or save her. He didn’t know how to be what she needed. All he knew was that he loved her desperately. Desperately. For some, this story would be too harsh to experience. Knowing the trials that face these characters are all too uncomfortable for its truth. But for me, a story like this is necessary. It serves to remind us of the horrible path this world has taken, one that must never, ever be forgotten. But it also shows how just a glimmer of hope can have miraculous results even in our darkest hours. It reveals to readers with profound and sensitive skill that sometimes, love can conquer all. Angelo and Eva were beautiful souls struggling to make sense of their feelings, their faith, and survival by any means possible. This is one of those books that is so insightful and exquisite, I feel like I'm better for having read it. I read this in one day, cover to cover, feeling desperate for the world to right itself again. I wasn't an impartial observer, I was right in the middle of their battle. I stayed up until 3 AM in order to find peace, I never could have settled without knowing the final fate of these characters. It was just that intense. 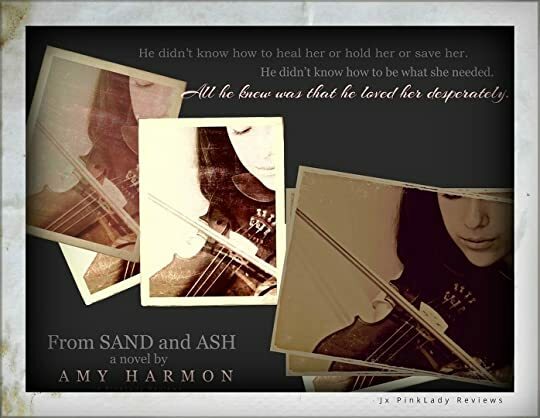 Amy Harmon has done it again, she has proved herself to be the kind of writer who can write in any genre, on any topic and make me grateful that I was lucky enough to have experienced her gift of words. Funnily enough one of the pleasures of reading historical fiction is finding out historical facts previously unknown to me. I must admit I knew nothing about the Jewish experience in Italy during World War 2 and this book certainly opened my eyes. The author wrote about the many atrocities in a very appropriate manner which made me want to know more. The love story between the two main characters was well done and I was not sure how the author was going to end it. Several times I really feared th Funnily enough one of the pleasures of reading historical fiction is finding out historical facts previously unknown to me. I must admit I knew nothing about the Jewish experience in Italy during World War 2 and this book certainly opened my eyes. The author wrote about the many atrocities in a very appropriate manner which made me want to know more. The love story between the two main characters was well done and I was not sure how the author was going to end it. Several times I really feared the worst! Well the worst maybe did not happen but I was disappointed with what she did do. One star off there for hopeless contrivance. One house in one town in the middle of war torn Europe and (view spoiler)[ they walked in on each other (hide spoiler)]. Just no! I put Allende on hold to download and read Amy Harmon's latest. I read it like a Blitzkrieg. As a friend of mine recently said after a one-sitting, intense read: I feel like I ate an entire cake. I ate it. Beautiful and luscious. Tragic and harrowing. War. Love. Faith. Gorgeous prose around historical details. A Panzer tank through your heart, leaving dirt and rubble through which poppies bloom. Sorry, I'm mixing my war metaphors. I wish I could articulate more but I kind of have a thousand-yard I put Allende on hold to download and read Amy Harmon's latest. I read it like a Blitzkrieg. As a friend of mine recently said after a one-sitting, intense read: I feel like I ate an entire cake. I ate it. Beautiful and luscious. Tragic and harrowing. War. Love. Faith. Gorgeous prose around historical details. A Panzer tank through your heart, leaving dirt and rubble through which poppies bloom. Sorry, I'm mixing my war metaphors. I wish I could articulate more but I kind of have a thousand-yard stare going on right now... In fact I think I need to make a new shelf called "Thousand-Yard Stare." Wow. I am SPEECHLESS. This book was just so painfully beautiful. I am literally at a loss for words on how to translate my feelings for this book. I'm a huge sucker for historical romances and rarely do I find one that actually hits me right in feels and has me swooning all at the same time. Amy Harmon has such a talent for ripping your heart out of your chest and shoving it back in there. 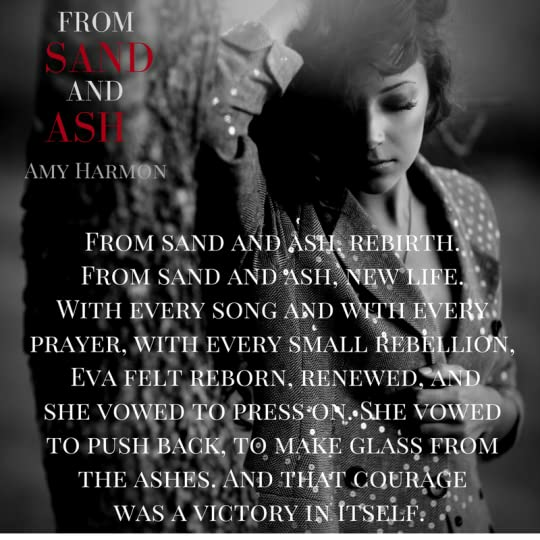 She did it in The Bird and the Sword, the first Amy Harmon book I've ever read, and she did it again and more in From Sand and Ash. 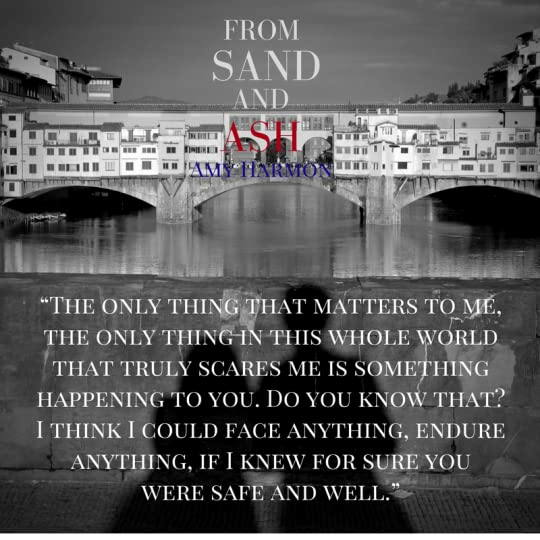 From Sand and Ash was like a combination of The Nightingale by Kristin Hannah and The Bronze Horseman by Paullina Simons. My two favorite historical fiction novels with a dash of romance! And let me tell you, this book was definitely up to par with my favorites. My heart was already wrenching from the very first page and I had a lump in my throat from the many times I wanted to cry throughout this whole book. 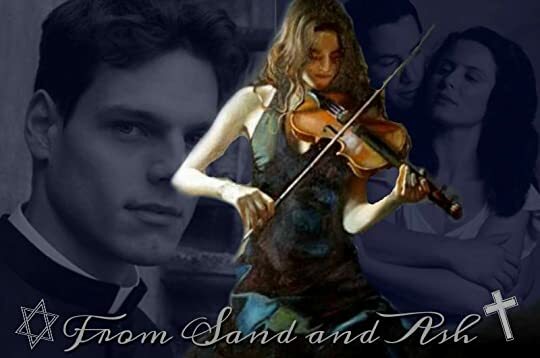 Although I did have a few complaints, From Sand and Ash was truly such a beautiful love story. I was at the edge of my seat the whole time while reading and I just didn't know which route Amy Harmon was going to take by the end of the book. I was forming all kinds of theories and possibilities in my head of how I thought the book was going to end, and I was a nervous wreck because I just DESPERATELY wanted Angelo and Eva to make it out alive and finally get the happy ending they both deserved. Eva reminded me a whole lot of Isabelle from one of the books I mentioned earlier, The Nightingale. In a way, they were both stubborn and constantly putting themselves on the line to help the others in need. Angelo was every bit as swoonworthy that I suspect all of Amy Harmon's heroes are. ;) There were times when his evasiveness, self-righteousness and desire for martyrdom became frustrating, but as someone who was raised in a Catholic family, I understood where he was coming from and his devotion to God. I loved the tension and relationship between these two characters. It absolutely tugged on my heartstrings just seeing how much Angelo loved Eva. A lot of times to me, heroes in stories don't do enough to convince me that they love the heroine. But it actually brought tears to my eyes how Angelo worshipped Eva's mind, body, and soul. He may be a priest but Eva is, and always has been, his religion. You just can't help but root for them in every possible way no matter how wrong and blasphemous it can be to the eyes of the Catholic Church. The only complaint I had while reading was how lucky these characters were to the point where it became a little too unbelievable. There were definitely times when Eva should've gotten caught but didn't. 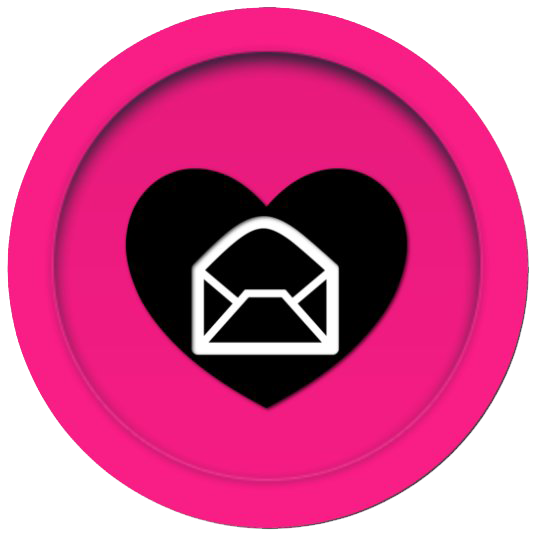 And other times, especially towards the end, I felt like things were resolved too easily. For example, (view spoiler)[Eva was sent to a labor camp and managed to escape by jumping out the train. Angelo and Eva haven't seen each other for nine months and coincidentally, Eva turns out to be the damsel in need that he was asked to help. VERY convenient and unrealistic. (hide spoiler)] World War II was not a very happy ending for many people, and this book, at times, felt too good to be true because of how easy things fell into place for the characters even with a few losses along the way. “In him I have found a slice of the divine, a morsel of peace, and when his lips are on mine, his hands on my skin, there is reason to believe that life is more than pain, more than fear, more than sorrow. I am hopeful for the first time in years. And strangely enough, I find myself convinced that God loves his children – all his children – that he 5+++ beautifully emotional stars!!! Holy cow! what did I just read? This book... WOW!! It blew me out of the water. This is my first book by Amy Harmon and I don't read historical fiction often, but this one is in a league of its own. 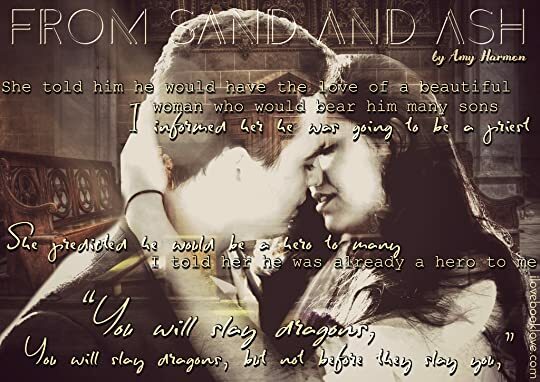 From Sand and Ash is a stunning masterpiece that left me breathless with its exquisite prose, the phenomenally framed characters, vulnerable and strong at the same time, and the richness of a storyline perfectly crafted. The author did a splendid job mixing a good amount of history with its sheer depths of horror and depravity that could be reached by civilized humans, with the beautiful forbidden love story between Eva Rosselli an Italian Jew and Angelo Bianco, a Catholic priest. I feel no amount of praise will ever do a book of this caliber justice and there really is no way to properly express how incredible Eva and Angelo's story is. I feel at loss of words to convey my feelings...this is just a book I wish I could make everyone read. Because books like these are few and far between, and are nothing less than life-changing. For me, this is hands down, one of the best books I ever read. From Sand and Ash blew me away. You know when you pick up a book and after you read a few pages you can tell that it's going to be an epic read?! That was this book for me. When asked by friends and family what this book is about I tell them it's a mix of Anne Frank: The Diary of a Young Girl and The Bronze Horseman. 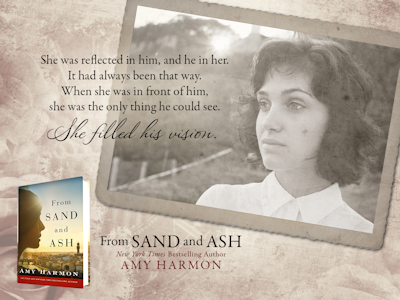 From Sand and Ash encompasses the struggle of the Jewish people and the Catholic church during WWII in Europe. From Sand and Ash is an excellent reminder to not try to eliminate people and cultures that are different than what we are. We can't allow history repeat itself. Okay, sorry, I got off track a little .... enough said on that matter. I loved both the main characters so much. Ms. Harmon has a way with creating the most memorable characters. The Jewish woman and the Catholic Priest were done magnificently. Each had their own set of flaws that made me endear them more. The struggle between survival and love was something I felt deeply while reading this book. I said this after reading Ms. Harmon's Making Faces and it's worth repeating here: I, for one, am a better person for reading it. I did not do much research, before buying "From Sand and Ash." It was the cover that caught my eye online. 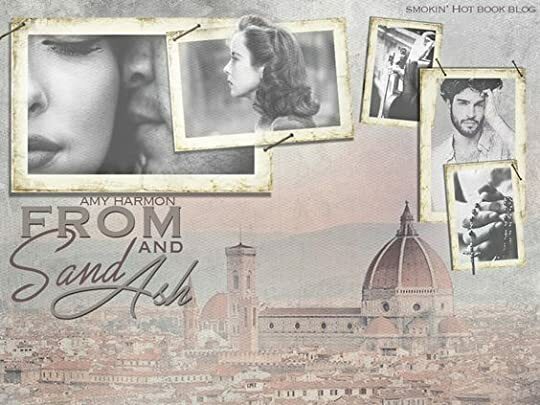 The short description told of a young Jewish woman and a Catholic priest who grew up together and gradually, silently fell in love through the years but were separated by their different religious beliefs and the atrocities of the Nazis during WWII in Italy. I knew then that I had to read it. 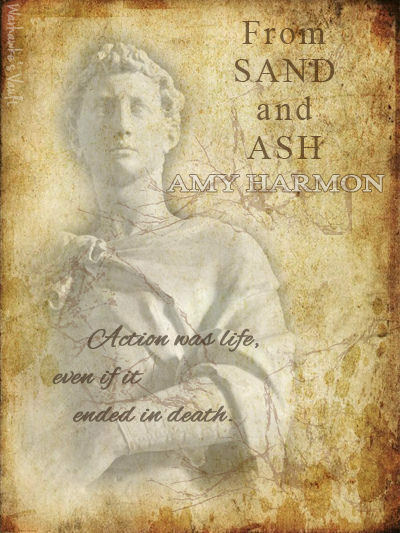 Amy Harmon has an amazing talent for making each character come alive and immediately drawing you in I did not do much research, before buying "From Sand and Ash." It was the cover that caught my eye online. The short description told of a young Jewish woman and a Catholic priest who grew up together and gradually, silently fell in love through the years but were separated by their different religious beliefs and the atrocities of the Nazis during WWII in Italy. I knew then that I had to read it. Amy Harmon has an amazing talent for making each character come alive and immediately drawing you into the storyline. Thank you Ms. Harmon for bringing Eva and Angelo and their journey throughout the years into my life. This book has become one of my all-time favorites. How fitting to finish this on Christmas Day. I am puzzled by one thing. Why didn't a major publishing company distribute this? I was disappointed I couldn't buy a hardcover copy. This is a book to treasure, and I'll be surprised if it doesn't become a best seller. It absolutely touched my soul. Sadly I have to say I am not a huge history person. Of course I know things that have happened, but I don't read about it nor watch many older shows about it. I don't read historic romances, I haven't had much luck when I have. Times have changed. This book rocked my world. Maybe I'm older now, maybe it's because I have kids now, maybe it's simply because sadly I see and hear so much of the hate that goes on in this world and it saddens my heart. I got to meet Angelo Bianco and I instantly loved Sadly I have to say I am not a huge history person. Of course I know things that have happened, but I don't read about it nor watch many older shows about it. I don't read historic romances, I haven't had much luck when I have. Times have changed. This book rocked my world. Maybe I'm older now, maybe it's because I have kids now, maybe it's simply because sadly I see and hear so much of the hate that goes on in this world and it saddens my heart. I got to meet Angelo Bianco and I instantly loved him. He was basically passed off to his grandparents in a foreign country at a young age. He had so much to overcome and my heart was heavy with all he had to deal with. Then throw in a horrible war and his priorities were all out of whack. He chose to follow his lord and dedicated himself to Jesus. Eva Rosselli grew up in Italy. Her childhood wasn't ideal, losing her Jewish mother at a young age. she was raised with loving grandparents, a loving father, and many loving family members. The love she didn't get was from the one she wanted the most. From Angelo. She would do just about anything to love him, it just wasn't enough. I loved her strength. 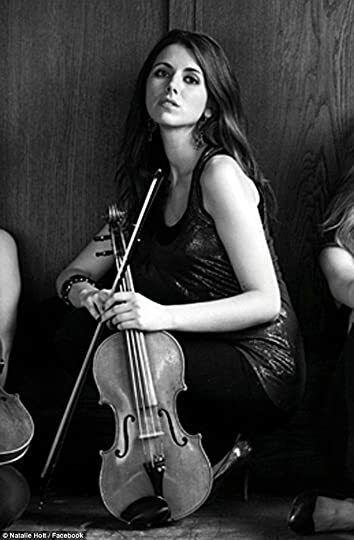 I loved her passion for her violin. I loved her compassion for everyone around her. She was simply amazing. I loved that she got to the point where she accepted that she could never have Angelo and she would never come first to him. The year is 1943 and World War II Nazi-occupied Italy played its part in the persecution, deportation, and ultimate murder of the Jewish people. However, Amy Harmon manages to incorporate so much beauty in this very dark time. 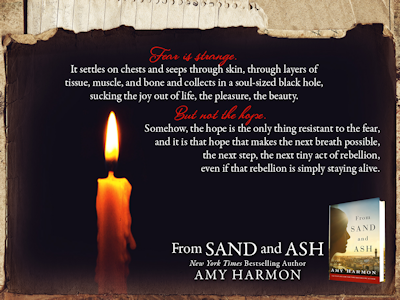 From Sand and Ash is full of contrasts: life/death, hope/defeat, courage/fear, compliance/rebellion, faith/doubt, love/rejection, desire/restraint... the list goes on. But such is this magical life – we cannot survive the depths without having at least a flicker of light, and even more so when the world is at war and a beautiful people are being destroyed simply because they exist. 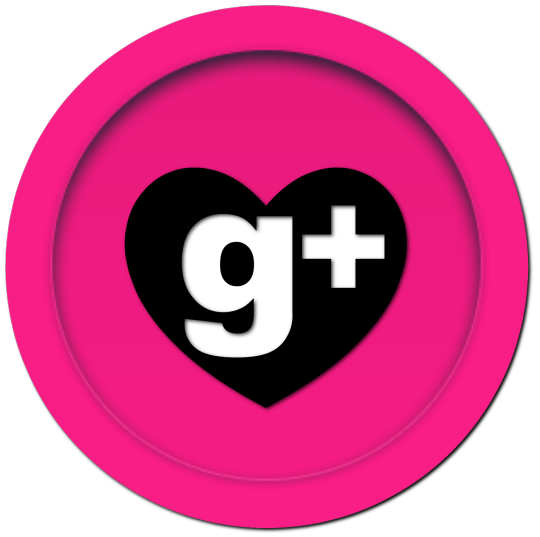 I will post my full review soon. But OMG, this was beautiful and heartbreaking and amazing. Pick this book up, please, please. This is an epic love story, amid true events, you won't want to miss. I wish I could give this one 10 stars! A heartfelt story where love and faith triumph during World War II in Fascist Italy. This was the first book that I have read that shows the incredible measures the Catholic Church took to hide and evacuate the Jewish people during Hitler's reign. 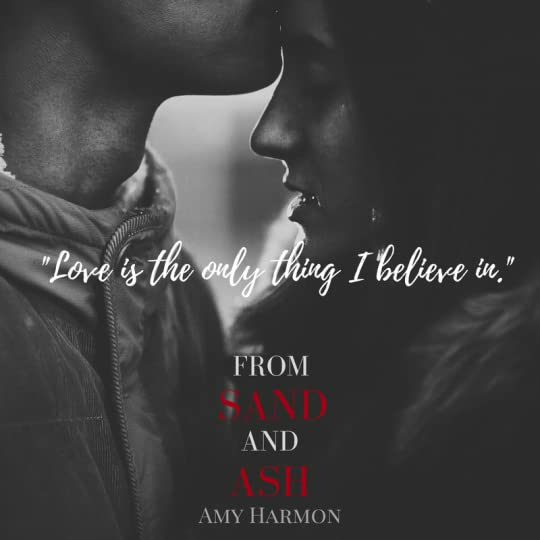 Amy Harmon's well written fictional story, that incorporates historical truth, shows how people of all religions can come together with compassion for each other no matter what their beliefs are. Reading stories such as this helps me to restore my belief in humanity, especially now when at times the respect and love that we should be showing each other seems to be lacking. I have not read a lot of historical romance novels before, but Harmon did a wonderful job interweaving both the historical and romance aspects of this story. Angelo and Eva's unconditional love for each other was very moving. Against all odds and circumstances they remained devoted to each other - a true testament of love. It took far too long to finish I think part of me dreaded where it might go. But whenever I read about the atrocities committed during WWII, I feel, in some measure, as Angelo did. That we have to bear witness however it is presented to us, and never forget. Yes, this story is fiction but not all of it. The worst (and best) parts were real: the horrors and the hope. The inhumanity and the bravery. Woven in between is this story of love and the inherent goodness of people, that is the light in ev It took far too long to finish I think part of me dreaded where it might go. But whenever I read about the atrocities committed during WWII, I feel, in some measure, as Angelo did. That we have to bear witness however it is presented to us, and never forget. Yes, this story is fiction but not all of it. The worst (and best) parts were real: the horrors and the hope. The inhumanity and the bravery. Woven in between is this story of love and the inherent goodness of people, that is the light in every darkness. I loved this story, it was a beautiful tale of two Italians, one a Jew and the other a Catholic. A friends-to-lovers, forbidden affair, that takes place during the second world war, a time when there was little hope, but a huge amount of love and togetherness that is portrayed wonderfully in this book. Childhood friends, Eva and Angelo face many adversities, but their friendship is never wavering. Angelo uses his career as a Priest to help the Jewish refugees, and Eva is determined to do her bit to assist in her war-torn country. Not only are they battling to survive in a world that is falling apart, but Angelo is battling his feelings for the woman he has always loved. "Her touch— so reverent, so tender— broke him. How could something so gentle cause him to crumble? But shatter he did, and God knows a broken man is a vulnerable man." 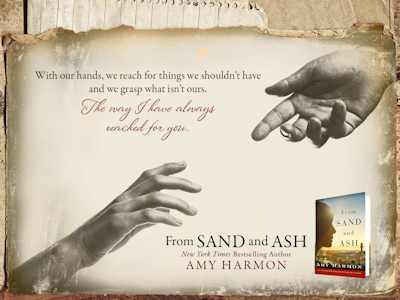 From Sand to Ash is a remarkable historical romance that I will remember for a long time to come. "It was love that made each touch feel like redemption and each kiss like rebirth. Not just lust. Not just pleasure. 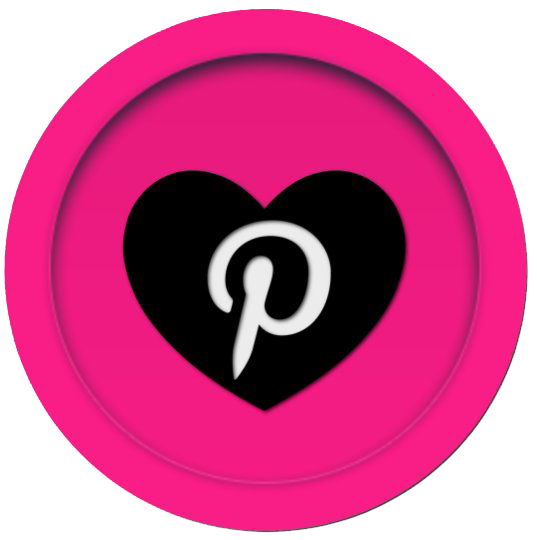 It was love that created joy." This book was a lyrical work of art. Definitely Amy Harmon’s finest work and I have enjoyed all of her books thus far. There were so many things I loved about this book but writing stands out the most. Amy Harmon’s storytelling was so intense, visceral and poignant. This story was set in Italy starting before the German invasion and lasted for the Nazi occupation of the Italy. It was such a dark and depressing historical period, but the author managed weave a tale of love, hope, faith and loyalty. Eva Rosselli and Angelo Bianco were childhood best friends despite being her being Jewish and him being Catholic. Despite their affection for each other, Angelo decided that he could best serve God as a priest. As Angelo joined the priesthood, Eva began navigating life in Italy where Jews were stripped of every conceivable right of citizenship despite the Jews “making up 1% of the countries population”. At her darkest hour, Angelo took in Eva and some other family friends to hid them, but it endangered all the priests around. Angelo was forced to consider what his life would be like if the Nazi’s were to find Eva and the other Jews that the priests were protecting. While Eva struggles to survive, she was also forced to deal with the fact that the man she loved chose to be a priest over a life with her. This story was both inspiring, enlightening and emotionally POWERFUL. Every time I felt despondent, a gestured or an event occurred that contributed some reason for hope and encouragement. The author didn’t mislead the readers by painting a rosy picture of war times. But those tendrils of devotion and faithfulness kept me optimistic as I listened to tale. The narrator Cassandra Campbell was excellent in her various accented voices. She was a great choice for this book. I loved both Eva and Angelo for different reasons. Both were strong characters, loving, honest and altruistic. Eva though just stole my heart. She had a clarity about almost everything. She was decisive and even stubborn. Angelo was so endearing because he truly tried to honor his faith even if he had to sacrifice his own heart. I admired his commitment and his perseverance. The author did an amazing job developing these characters as well as the overall plot. I never felt that the author sacrificed the historical plight of the people in favor of a love story. It made everything feel so much more authentic and genuine. I am always amazed at the blessings that occurred despite immense suffering during the tragedies of war. This story was one of the best written historical fiction novels I have ever read. 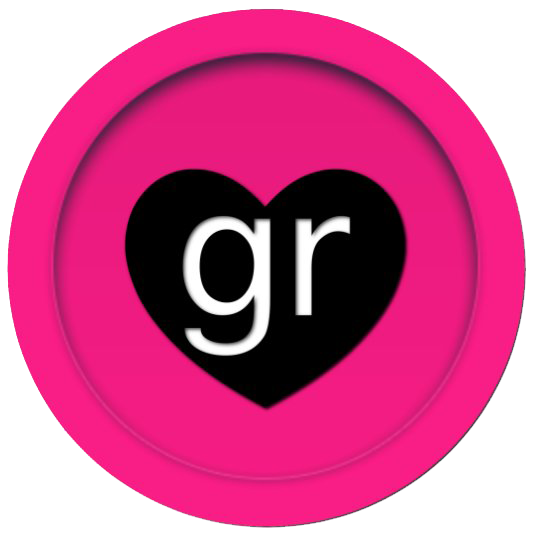 Special Thanks to Amy Harmon and the Goodreads giveway for the e-book. Amy Harmon is a Wall Street Journal, USA Today, and New York Times Bestselling author. Amy knew at an early age that writing was something she wanted to do, and she divided her time between writing songs and stories as she grew. Having grown up in the middle of wheat fields without a television, with only her books and her siblings to entertain her, she developed a strong sense of what made a good Amy Harmon is a Wall Street Journal, USA Today, and New York Times Bestselling author. Amy knew at an early age that writing was something she wanted to do, and she divided her time between writing songs and stories as she grew. Having grown up in the middle of wheat fields without a television, with only her books and her siblings to entertain her, she developed a strong sense of what made a good story. Her books are now being published in eighteen languages, truly a dream come true for a little country girl from Levan, Utah.